Nintendo president Tatsumi Kimishima has revealed the company's strategy for the year, and as we expected, it's going to be huge. Dr. Serkan Toto, CEO & Founder of Tokyo-based Kantan Games Inc, has translated a transcript from recently appointed Nintendo president, in which we're told to expect apps featuring Nintendo's famous characters this year. Kimishima reiterated the launch of the first smartphone app, previously revealed to be a social game called Miitomo, for March. However, Miitomo uses Nintendo's Mii avatars, and we're yet to see how characters like Mario will be carried over to smartphone. Nintendo previously announced that 2016 would also be the year it would release details on its new system, currently codenamed the NX, while pushing forward with its mobile strategy. 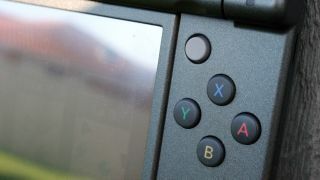 Kimishima repeated that again in the interview, but didn't let slip any more information. What's particularly interesting, according to Toto's translation, is the emphasis Kimishima is putting on new business ideas. Kimishima wants to "surprise fans with new ideas - not build on old ones". That chimes with promises of the NX being an entirely new experience and not merely the next Wii U. The company's expansion into smartphones, theme parks, movies and TV shows is also progressing, says Kimishima, who says it's vital for Nintendo to play with new ideas. Finally, the plan is to bring Nintendo profits to 100 billion yen in "several years". As Toto notes, that would be four times that of last year's profits. 2016 is shaping up to be one of the biggest years in the history of the company. We've heard rumours that Nintendo might reveal the NX before E3, with the possibility of a launch by the year's end. Alongside all this, Nintendo's Amiibos are growing into a big part of the business, and we expect that to continue flourishing this year. Come that four-year target, Nintendo might be as much of a toy company as it is a games one. Will the Nintendo NX controller look like this?